With the surprise news yesterday that a private server for City of Heroes may have been operating for years, possibly with hundreds of players, we just want to reiterate that Ship of Heroes is developing full-steam, and that we will launch as planned on the schedule we have announced. Ship of Heroes is the next step in superhero gaming with a completely unique setting, new story and missions, new engine and graphics, and infinite room for future game expansion. Our goal is to provide a gaming home to all of those who want to continue to experience the positive community that we have already assembled on our forums and in our Alpha tests. After all the support we have received, doing anything else would be a betrayal. Please show your interest by continuing to support Ship of Heroes. We'd like to give a quick update regarding where we are on the idea of adding new hair models. 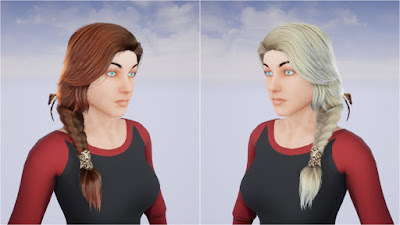 We added a new, highly skilled artist to the team and he is working on hair models for us, beginning with the transfer of the hair models from Paragon (very nice free assets provided by EPIC Games to their community). We have grabbed those assets, converted them to our standards, and also now have LODs for them. 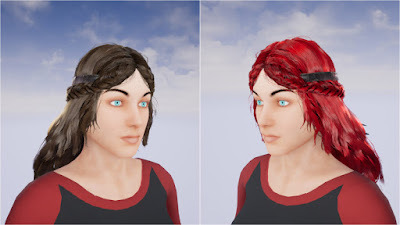 The next step, which is underway right now, is to adapt them to our models, add the collision features and bone physics we want to employ (which we are creating from scratch), and then to test the resulting hair models in SoH. We also need to fine tune the physics, and the collision issues, and make sure we can easily afford the models within our FPS goals. That is not done yet, but it is all looking pretty good as we move forward. Our current selections for this system seem to be delivering a big improvement in FPS compared to APEX physics, which was our prior system, from 2017. We still need to pull it all together in the game (the assets are not pushed to the real SoH yet, they are in testing), and settle a few things, and also make sure we like the color options for hair. But it is coming along quite nicely. This update, and the community's comments are on this thread on the official forums, and there's an associated older thread talking about hair choices. Ship of Heroes has released its second annual Christmas video highlighting a future holiday event in-game: fighting winter-themed seasonal monsters. Those looking carefully will notice that the flashing presents from the 2017 Christmas video are still in use in this year’s build. This video was released a week late because the devs conducted a series of login tests on December 15 th with several hundred supporters, and that pushed back production of the holiday video. This time, a team of seven heroes defends the city. There is one tank and six ranged damage-dealers, two of whom can also heal. Civilians run away from the invading monsters as the heroes run in to fight them. Nice touch! This video shows several new game mechanics. First are waves of extradimensional monsters invading the FHS Justice. Each wave spawns once enough of the previous wave has been defeated by the heroes. The video also shows brand-new temporary power-ups called infusions being used in-game. Finally, players can now buy infusions; this is the first time we have seen vendors working in Ship of Heroes. This Christmas video is the conclusion of a big year for the SoH development team. 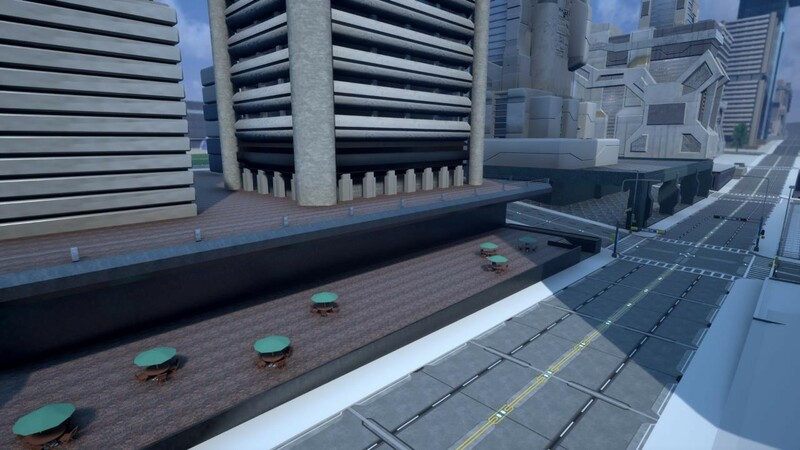 They’ve conducted a major combat Alpha in Q1 and a hugely successful set of login tests in Q4, allowing 200 real players and supporters from the community to run around inside Apotheosis City for the first time. 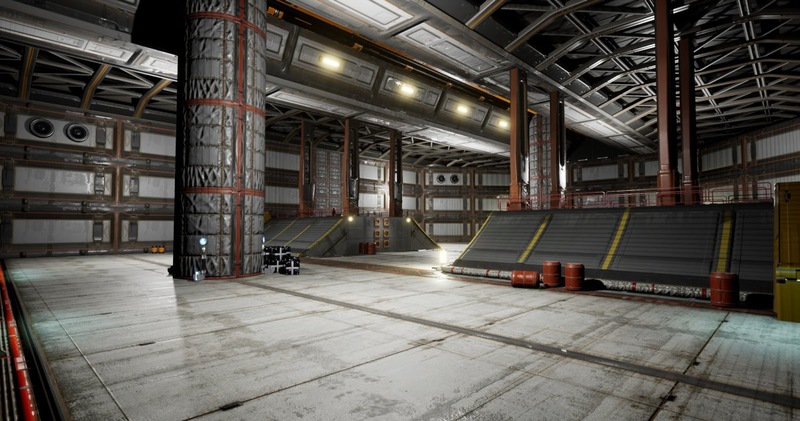 The devs at Ship of Heroes are also asking their community to make donations directly on the SoH website, as a beta is now in the offing for the end of 2019, plus several additional events that the donating community can participate in. The video was sent to more than 10,000 newsletter and YouTube subscribers, and contains a soft appeal to help the self-funded indie developers at Ship of Heroes to achieve their goals. 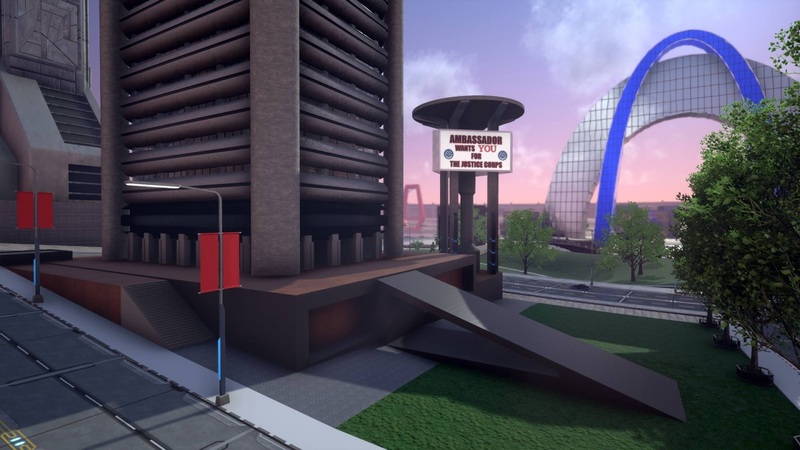 Ship of Heroes has planned multiple events open to their community for the coming year, and is currently scheduling a Beta launch at the end of 2019. The registration phase of the login test is over and emails have been sent out to those who indicated they wished to take part. The email asks you what time slot(s) you would prefer to paricipate in. If you registered and haven't received your email, you should check your spam folder, etc. If you don't state a preference for any particular timeslot, one will be chosen for you. It's anticipated that a further email with a download link and login details for the character allocated to each participant will be sent out later this week. OK, we're closing registration now. We left it open for a bit of extra time, in case there were some who were last minute registrants. In the ideal case you will choose more than one of these and we will then put you into one that allows us to allocate 300 people into three roughly even groups.